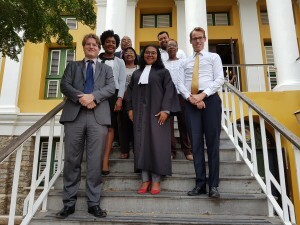 WILLEMSTAD - Celebrating its 80th birthday, VanEps Kunneman VanDoorne has welcomed two new colleagues in this anniversary year: professional support lawyer Mariette Hazejager-Steeg has strengthened the office in St. Maarten and junior associate Renata Nieuw has taken up post in Curaçao. Before she moved to St. Maarten in 2016, Mariette worked for eleven years as a junior civil-law notary at Houthoff Buruma in Amsterdam. At VanEps Kunneman VanDoorne she will support the team of lawyers with the development of know-how, for example, but also with advice in complex cases. Mariette specializes in particular in commercial real estate transactions, but also has experience in corporate transactions and financing.